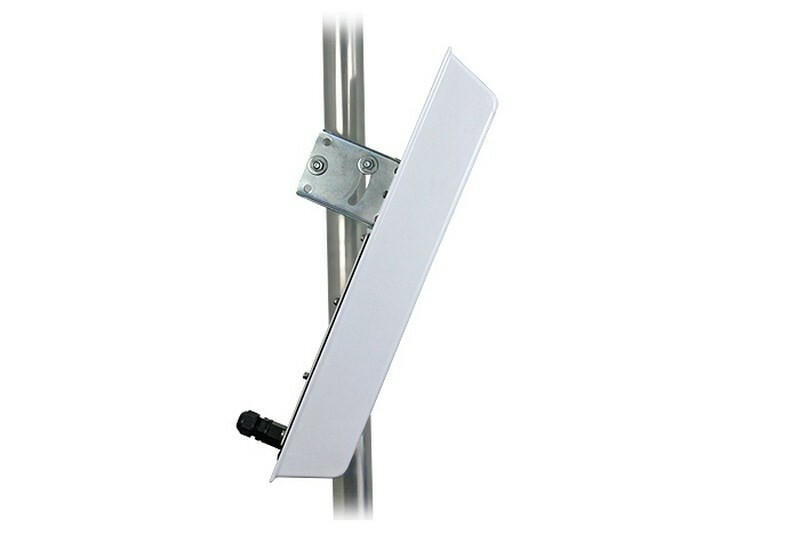 Sector antenna for the frequency of 2,4 GHz (horizontal polarization) with a pouch integrated. The inbuilt box allows for installations of the most popular devices inside, as RouterBoard 411, 433, 711, Alix, Ubiquiti and others with comparable dimensions. 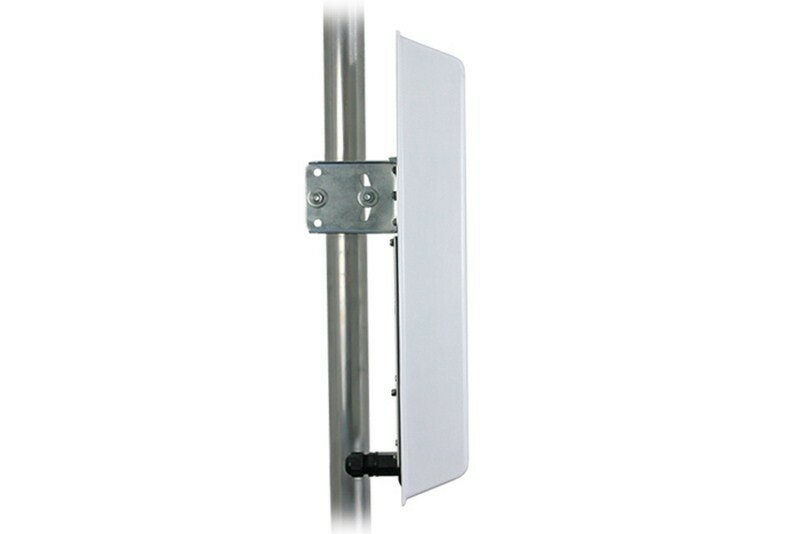 A big cover gives ability to easy access to an installed device or an antenna connector. Box enclosure has holes for two pigtails to connect additional antenna systems. There is attached FTP RJ45 waterproof system added, it allows for easy connection of a LAN or a PoE supply. Radiators matrix is located between an aluminium back shield and front shield made of durable and low-attenuated ABS material. 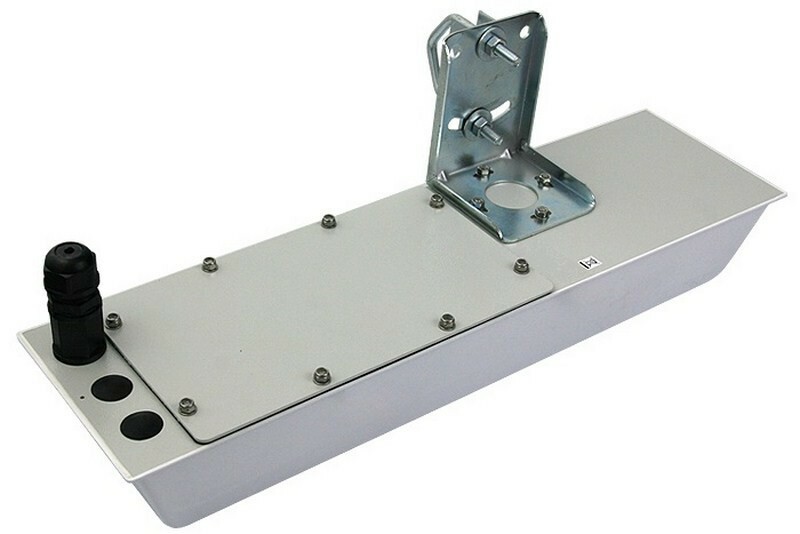 It protects the antenna from bad weather conditions and guarantees durability and parameters constancy during operation time. 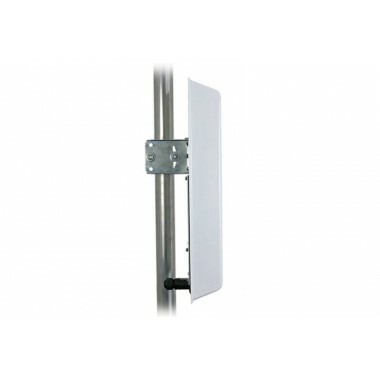 Solid mounting system with an U-bolt ensures stability and high resistance against strong wind. 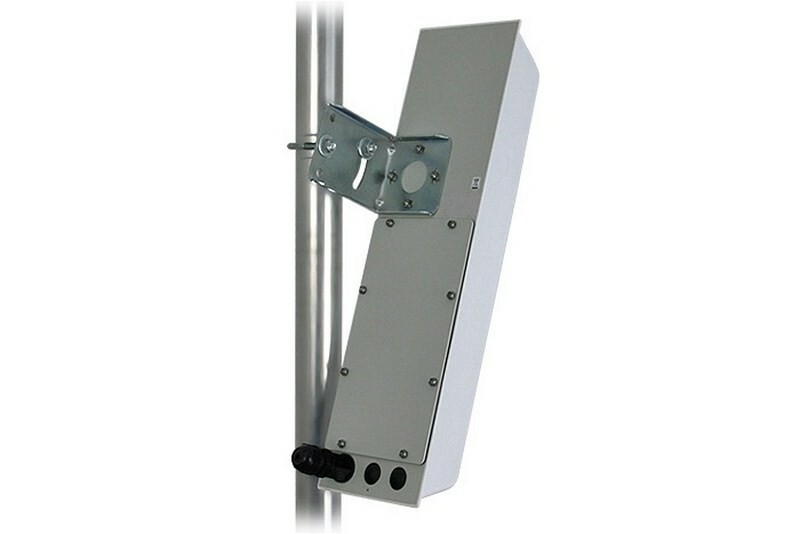 In addition it allows for antenna tilting for setting range and minimize interferences from other wireless networks. Antenna has DC ground inbuilt, this protects a radio card connected with the antenna.